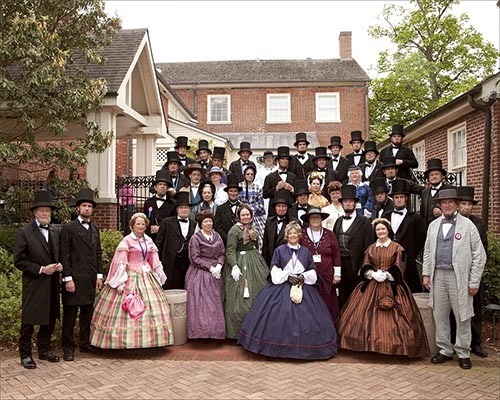 Joan Britton & I are hosting our 25th Silver Anniversary ALP (Association of Lincoln Presenters) Conference at the Amicalola Falls State Park Lodge from April 11-14, 2019. A room full of 40 ABE's & 20 Mary Lincolns is indeed a site to behold! We would invite you to come meet & visit with us at the Lodge or on the train ride on Friday, April 12 from Blue Ridge to McCaysville. We will all be eating at various restaurants in McCaysville & shopping from noon to 2 P.M. Then returning at 3 P.M. to Blue Ridge to shop & to eat at the Southern Charm Restaurant at 4:30 P.M. Ann K. Gunnin presents her book, “Letters to Virtue”, Civil War journey of Courage, Faith & Love at the Lodge at 7 to 8 PM. Thank you & we hope to see you in our travels. HONESTLY!